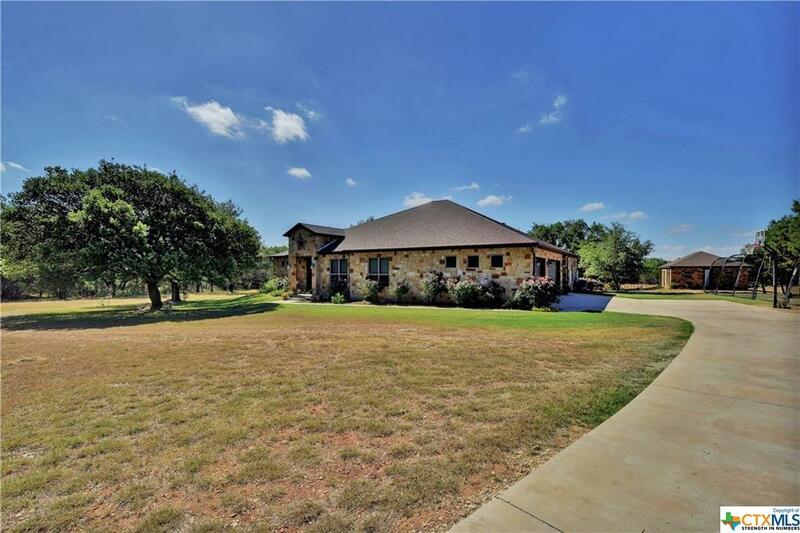 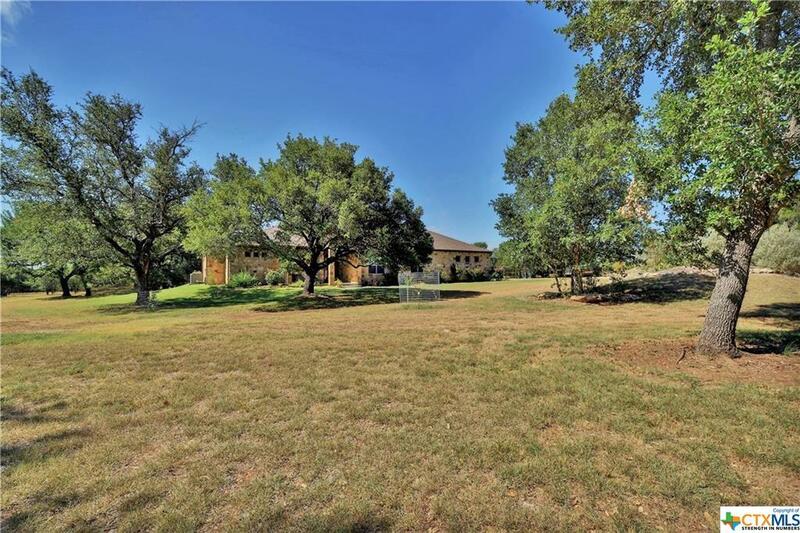 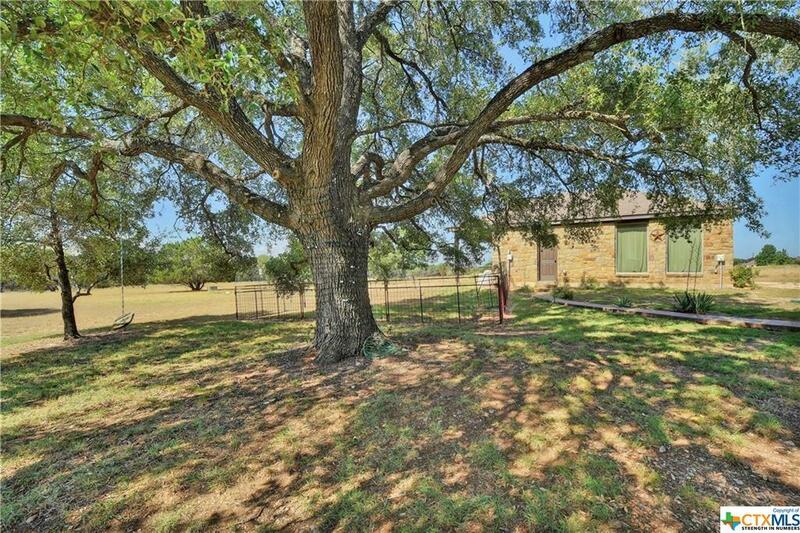 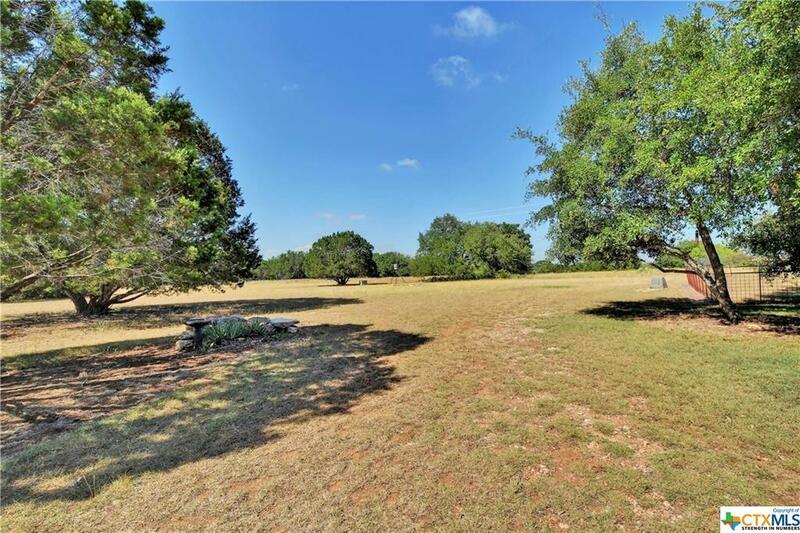 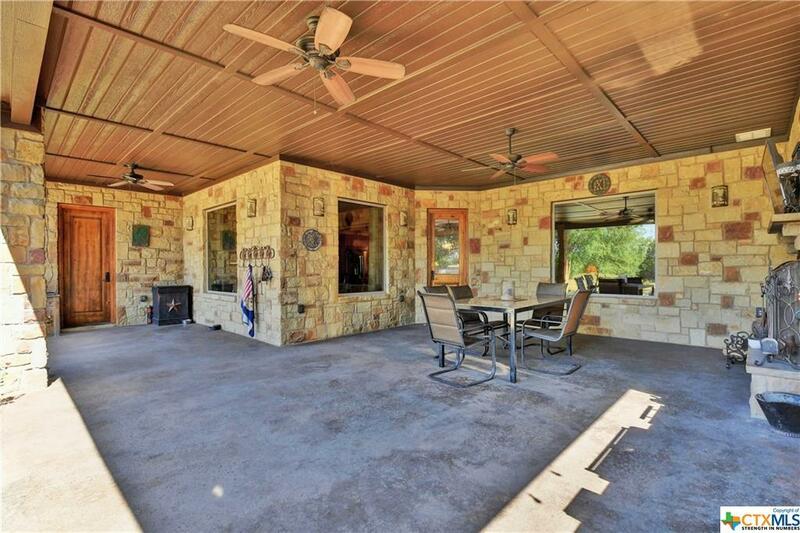 1387 Hidden Springs, Salado, TX.| MLS# 371593 | Jennifer Kasner | RE/MAX Temple-Belton Properties. 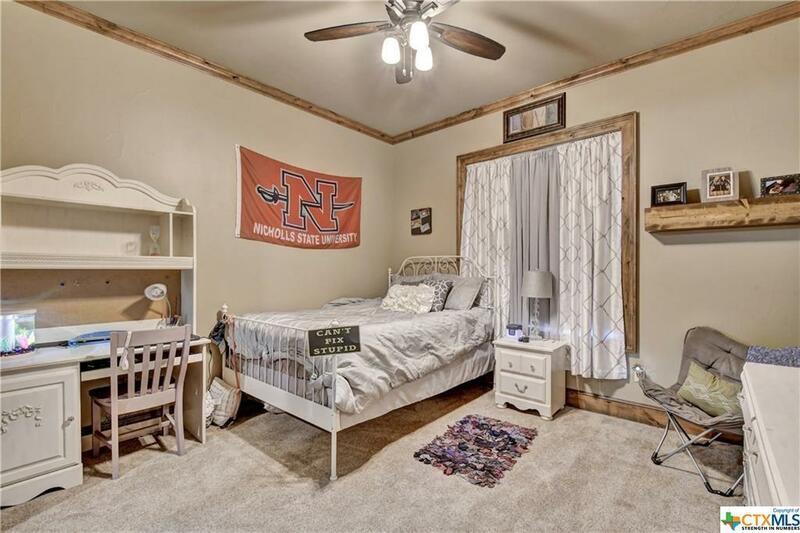 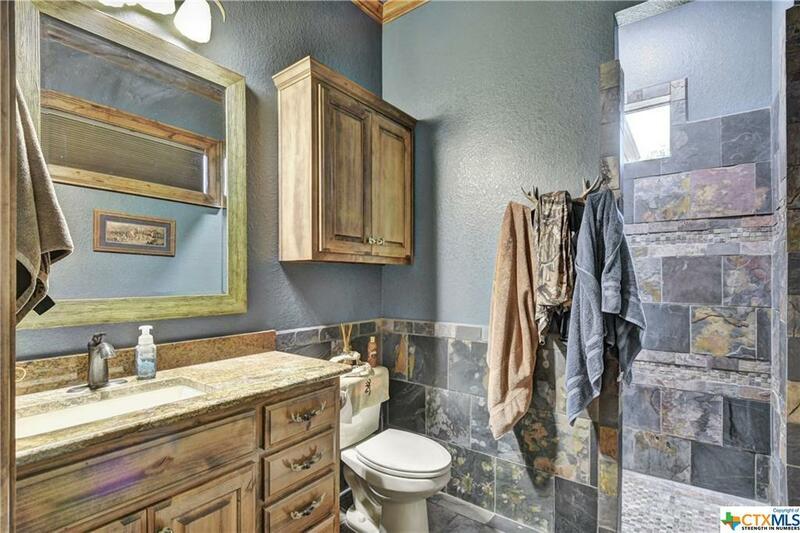 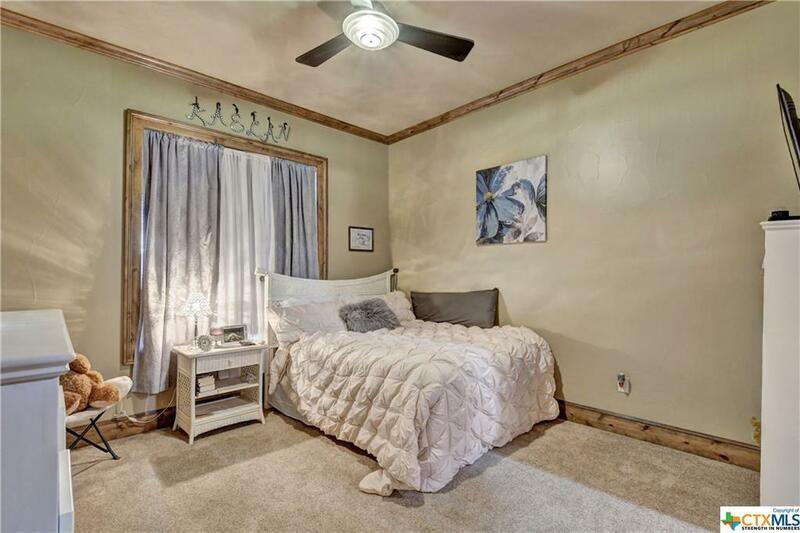 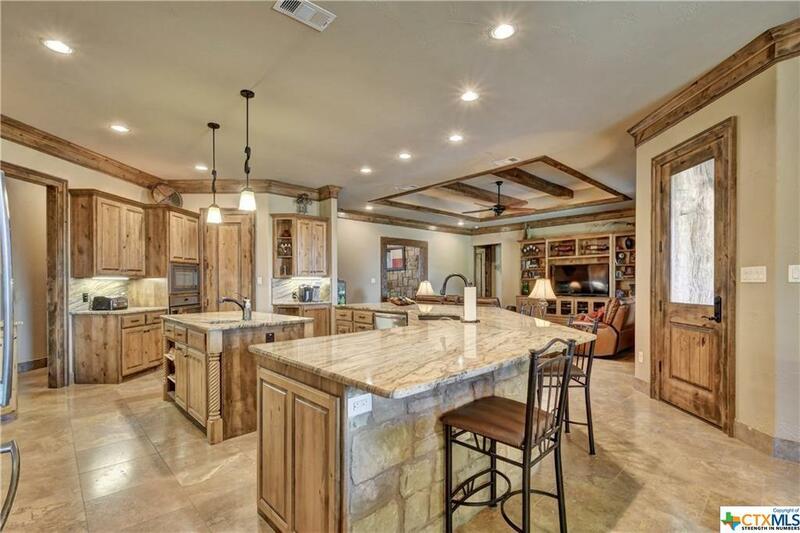 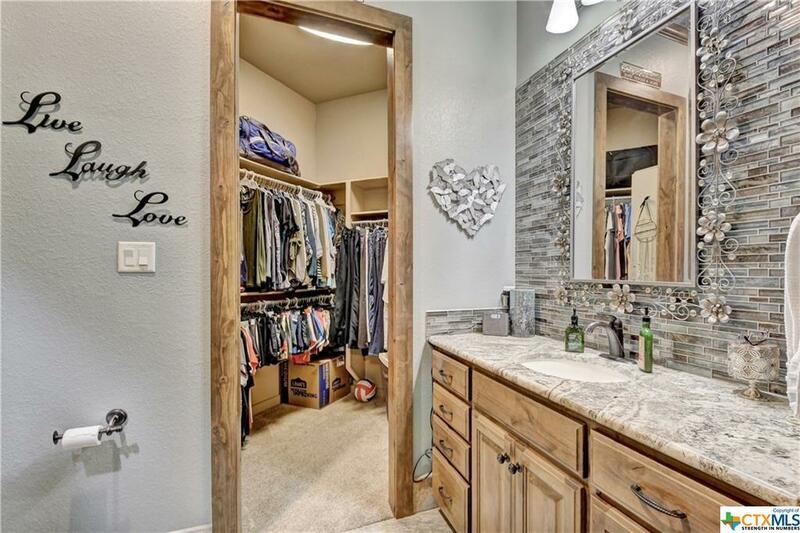 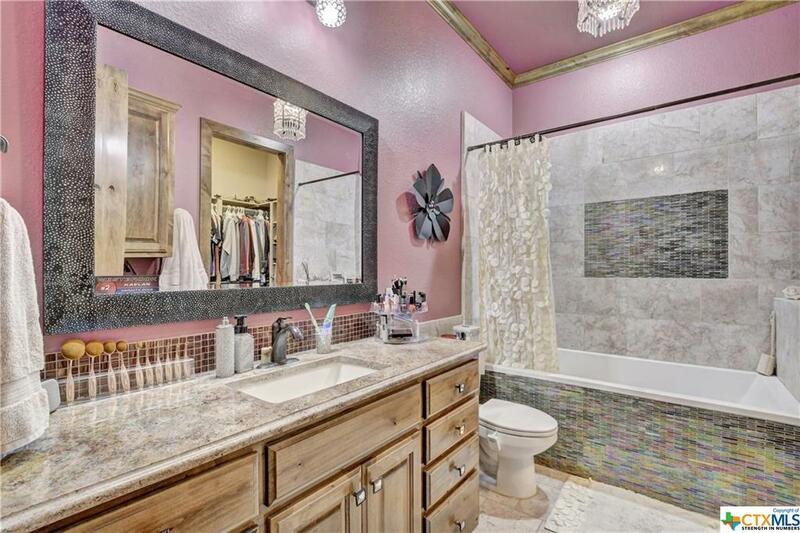 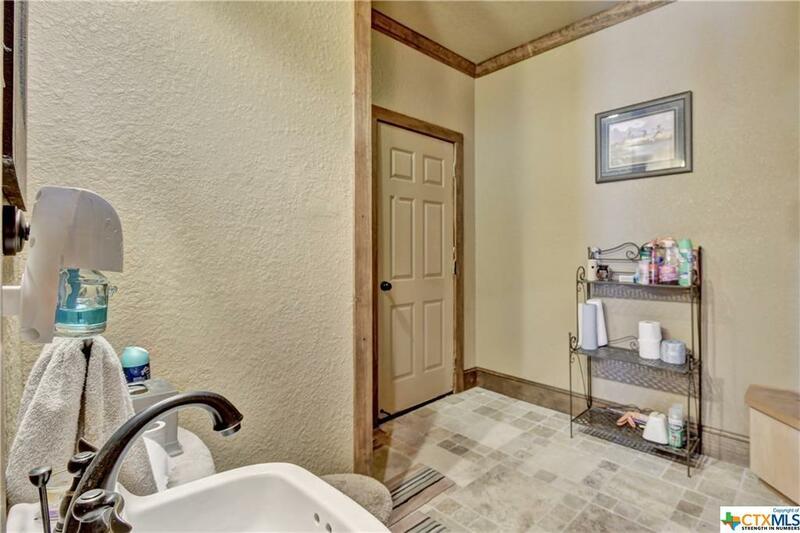 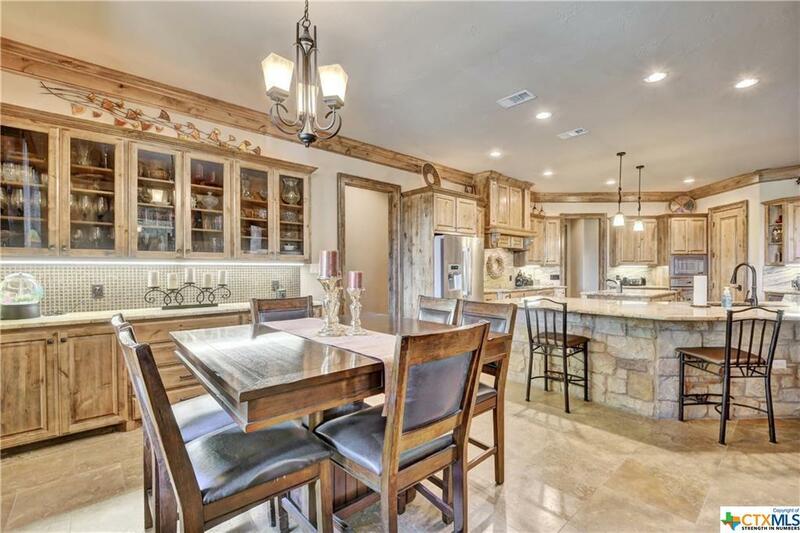 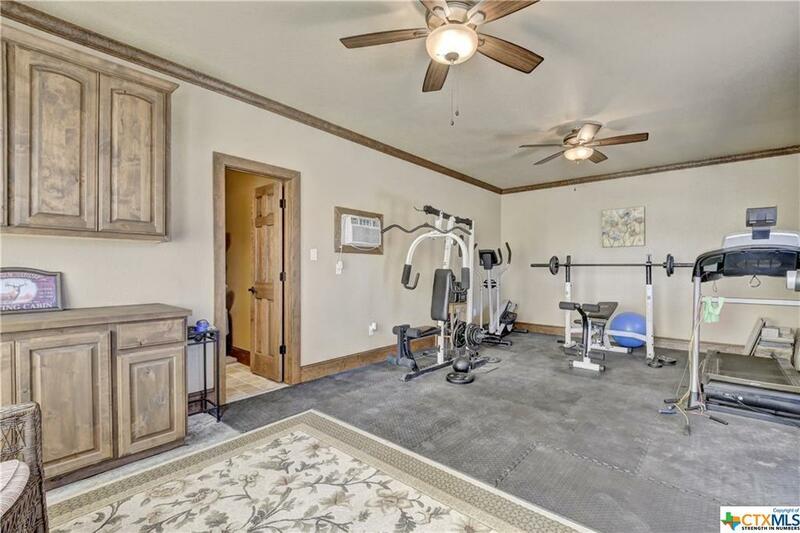 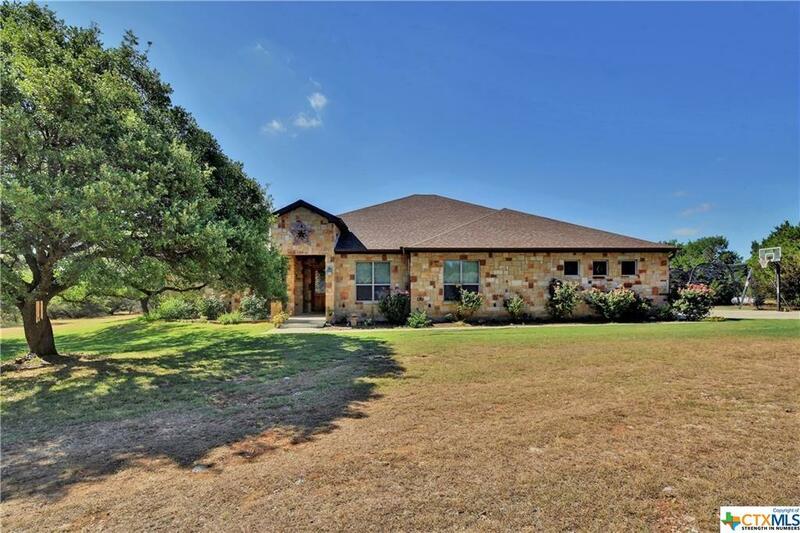 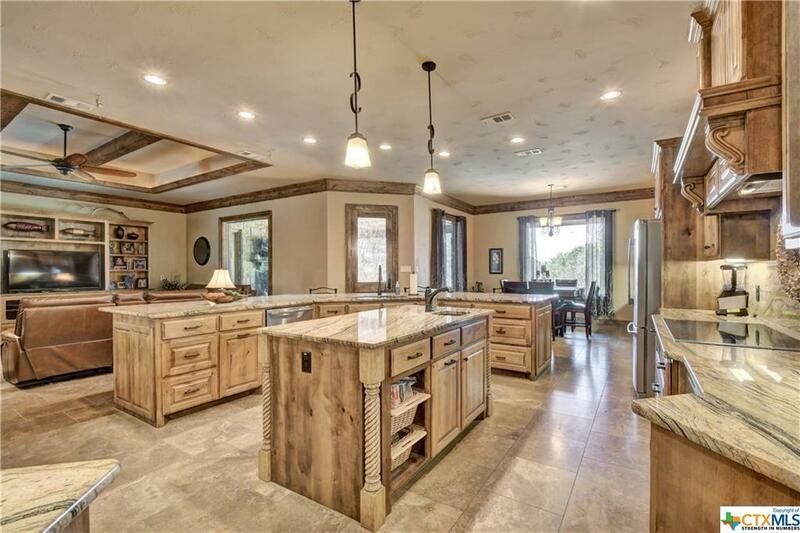 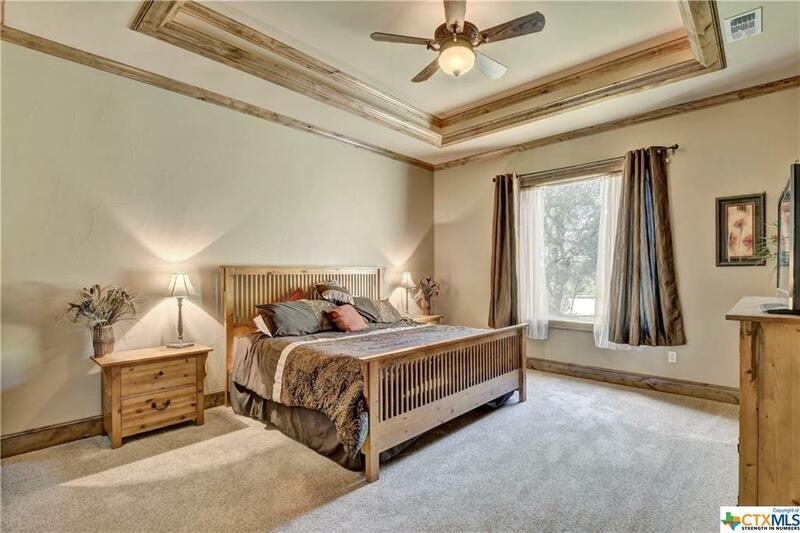 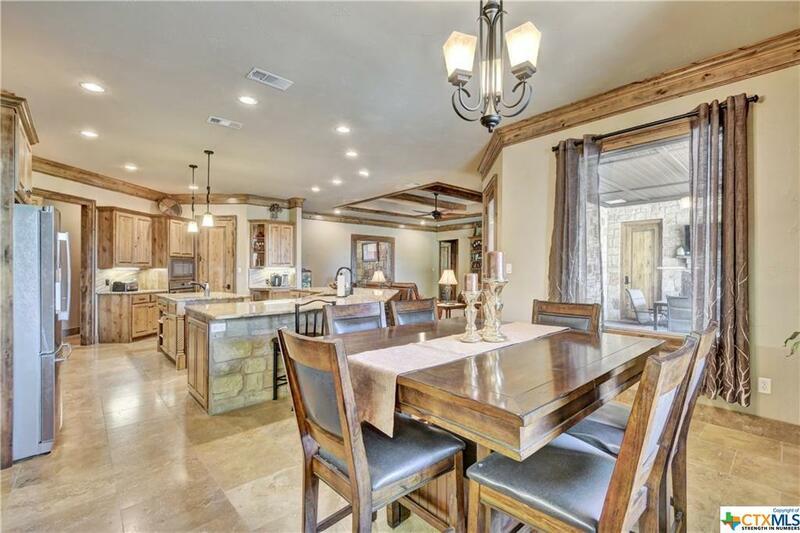 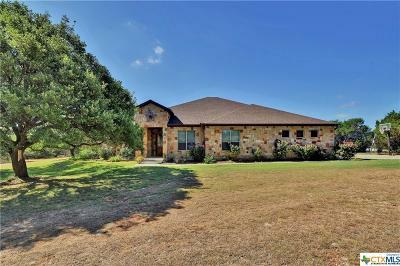 Homes for sale in Temple, TX, Belton, TX and all surrounding areas in Central Texas, Bell County. 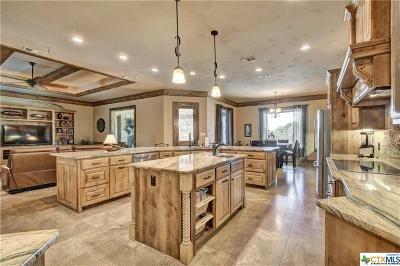 Listing homes for sale and Buyer's agent for purchasing all types of residential properties. 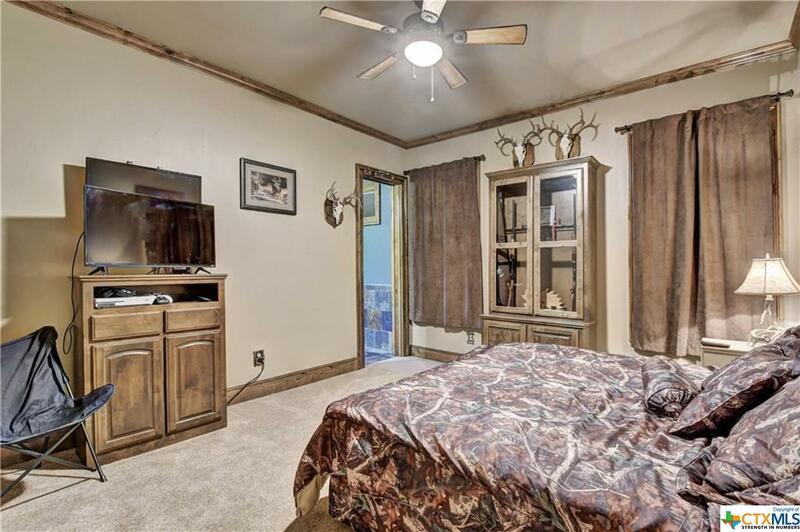 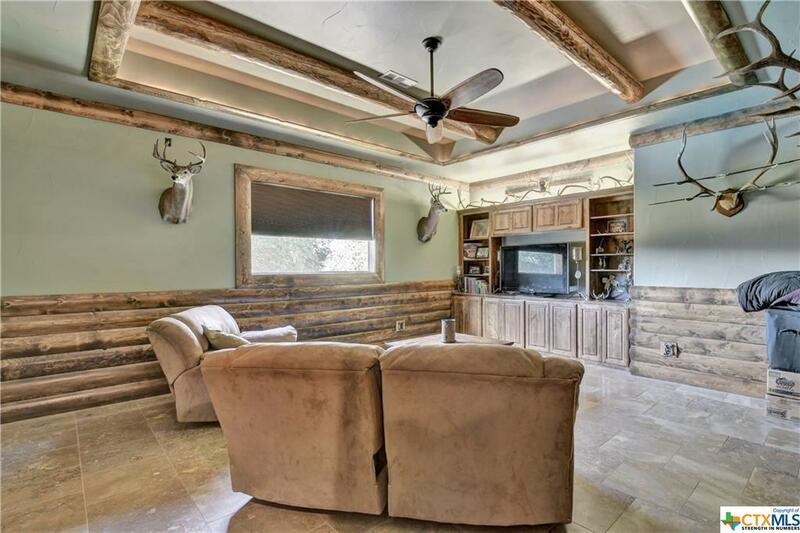 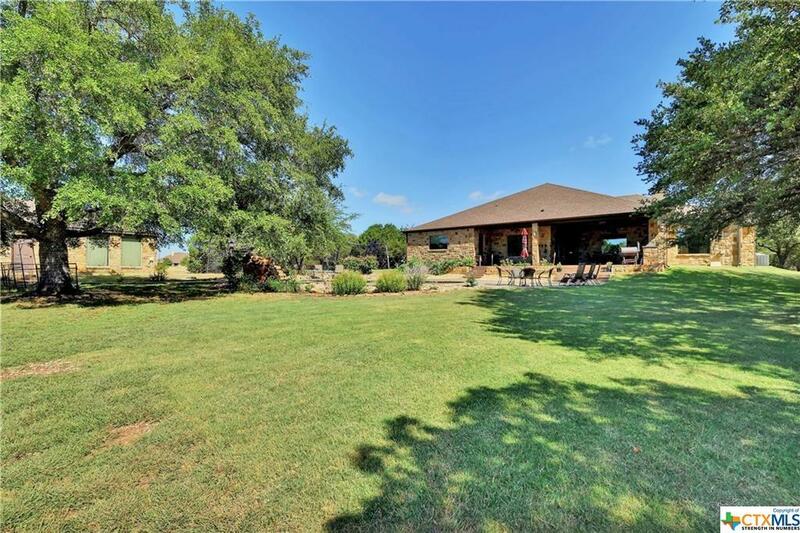 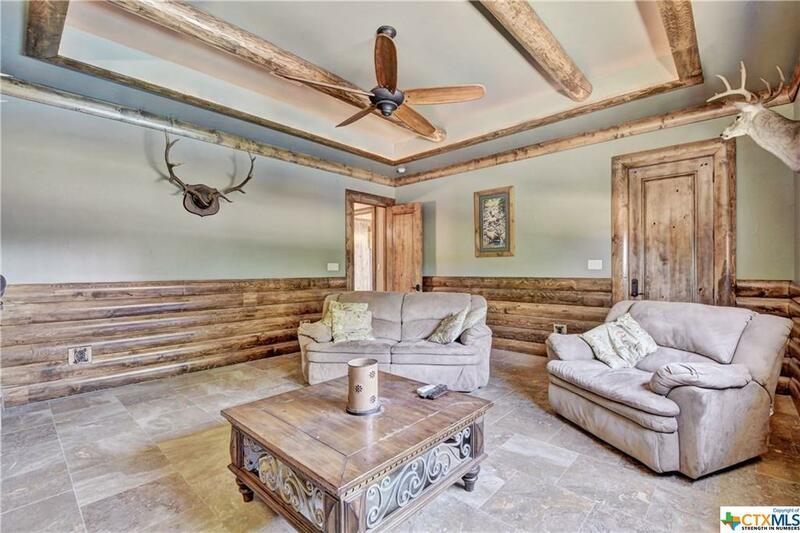 Welcome home to your hill country retreat! 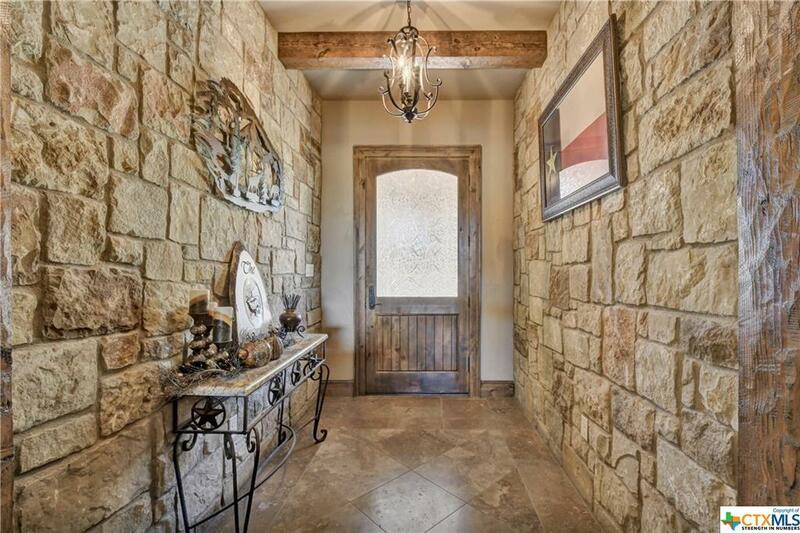 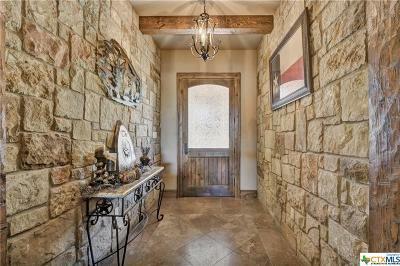 Once you step inside you will immediately notice the craftsmanship and attention to detail throughout this entire home. 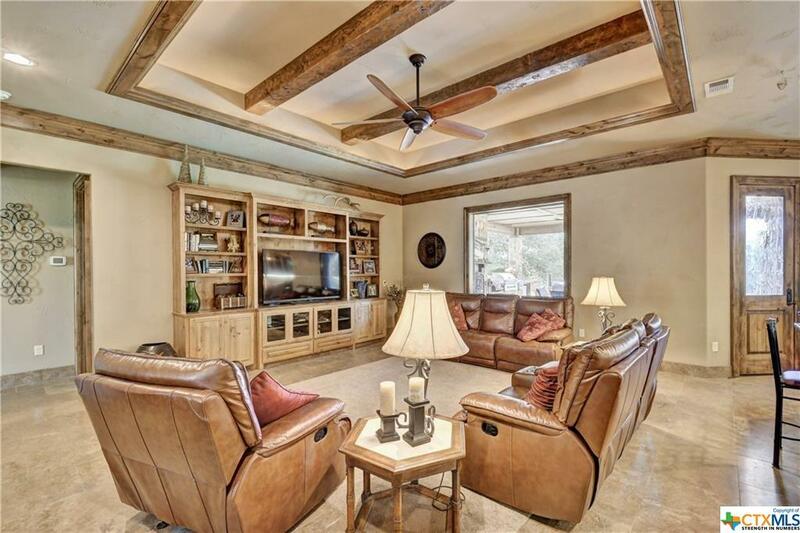 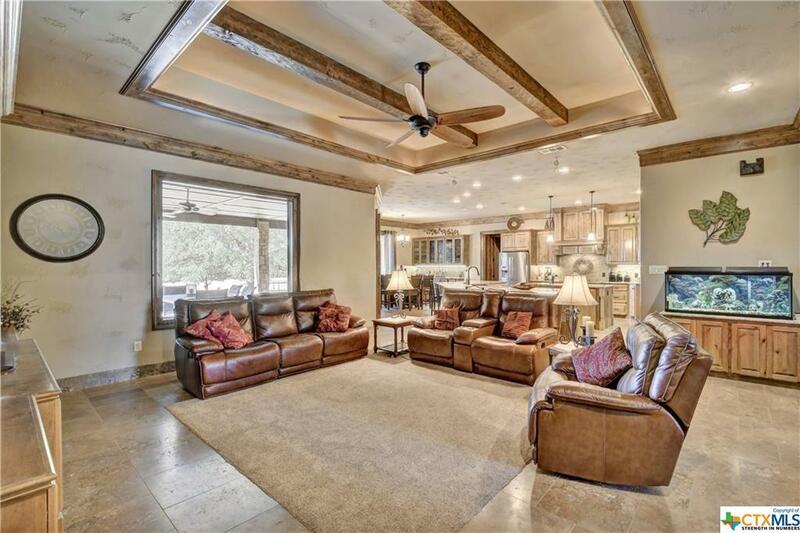 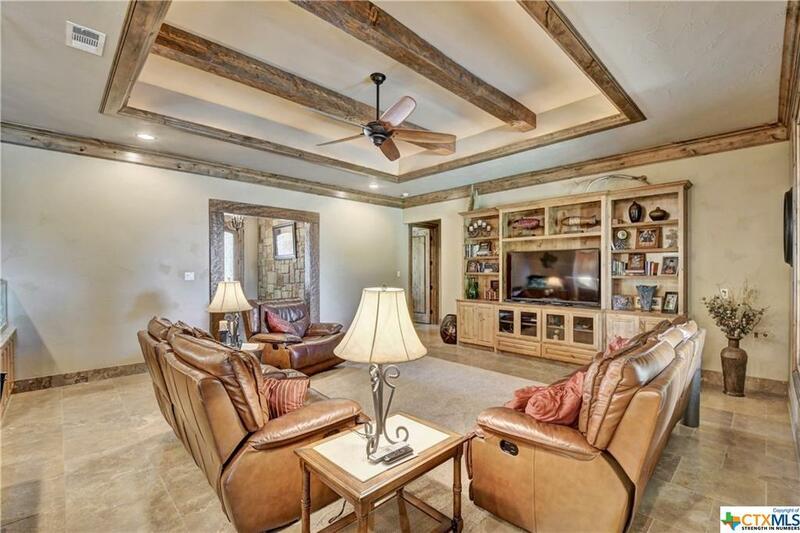 Solid wood beams create the perfect entry way leading to your open living room with tall ceilings, wood beams, and large windows for viewing your peaceful backyard space. 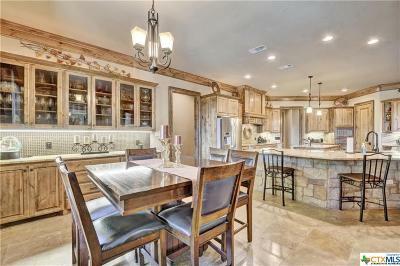 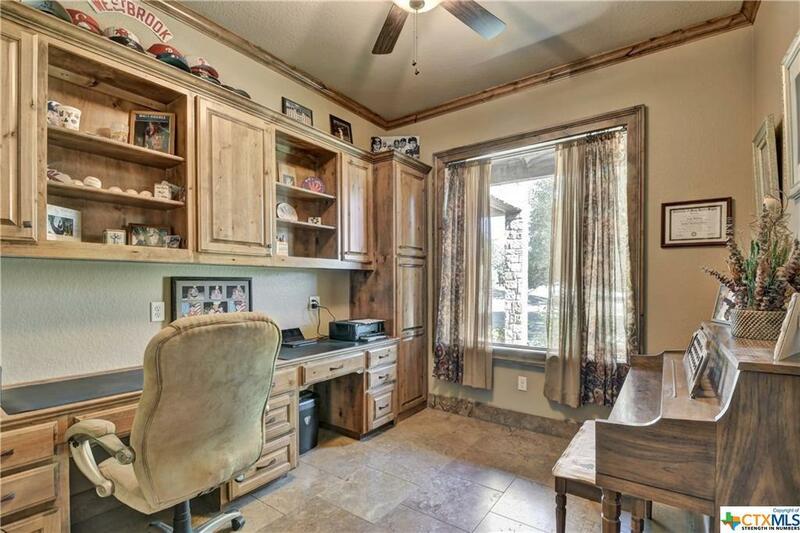 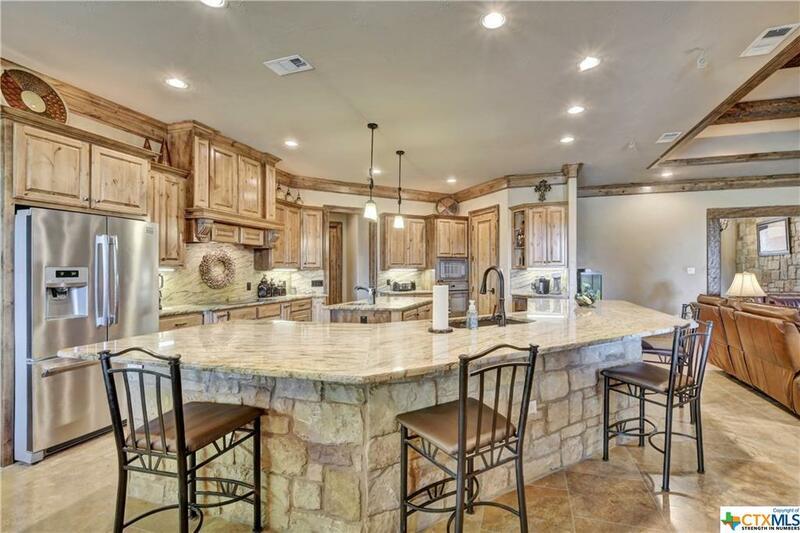 The kitchen features custom granite counter tops, back space, center island, with ample counter and cabinet space. 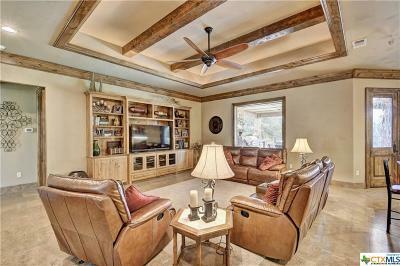 This house also features a media room, office, and spacious master retreat! 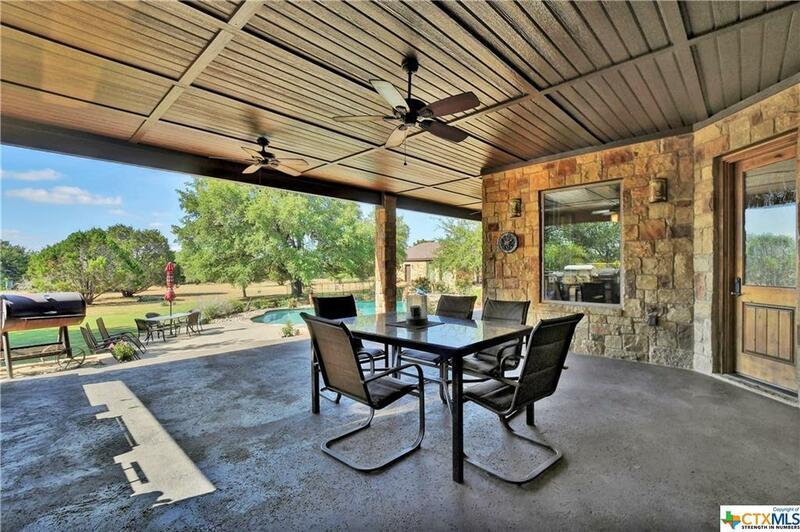 Enjoy the wildlife while grilling in your outdoor kitchen area, or entertaining on your large covered back porch complete with fireplace. 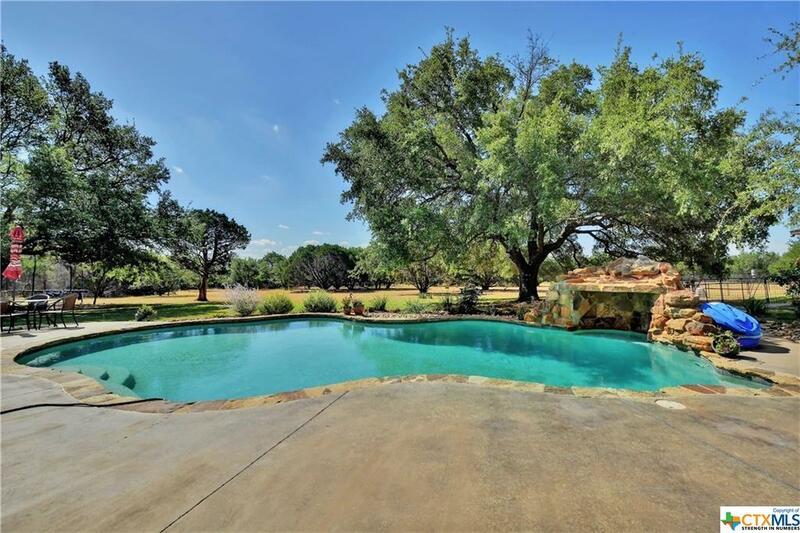 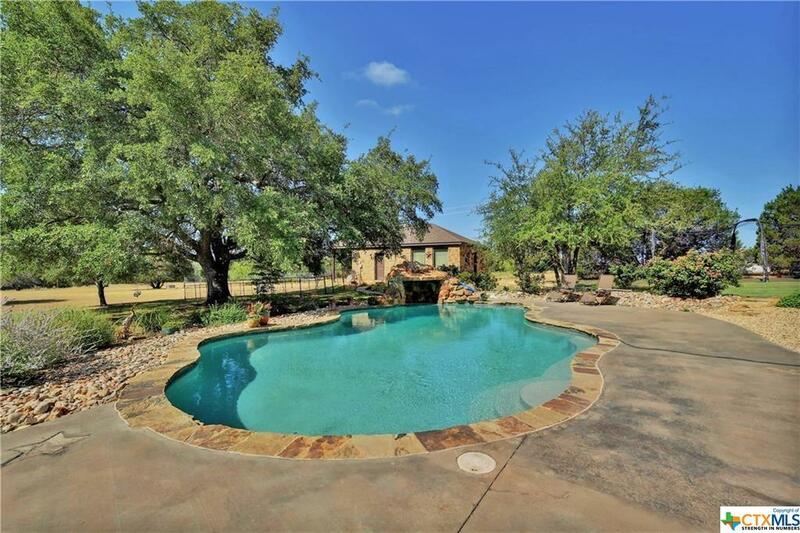 Once you're ready to cool off, jump into this gorgeous custom pool and be ready to relax in your own private oasis. 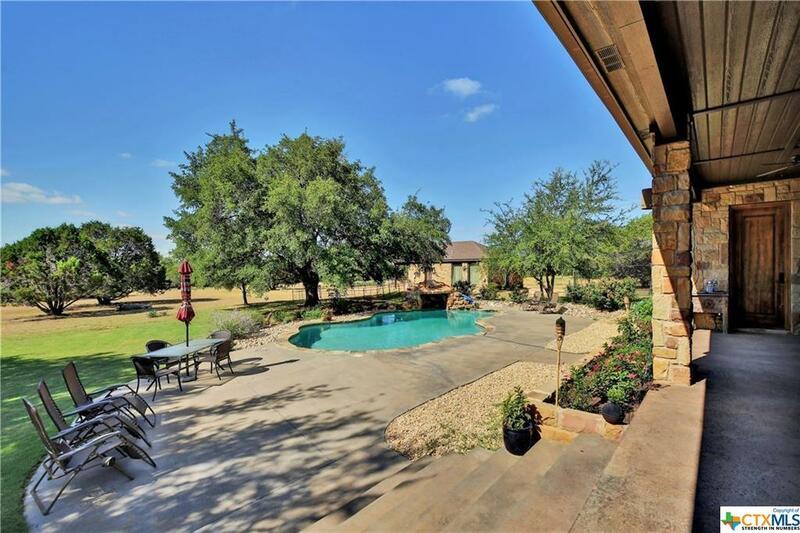 The extra pool house/guest house is an additional approx. 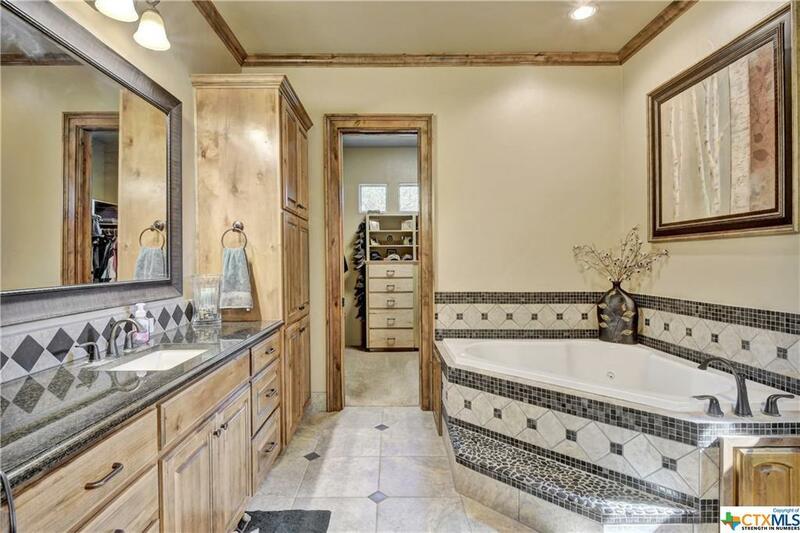 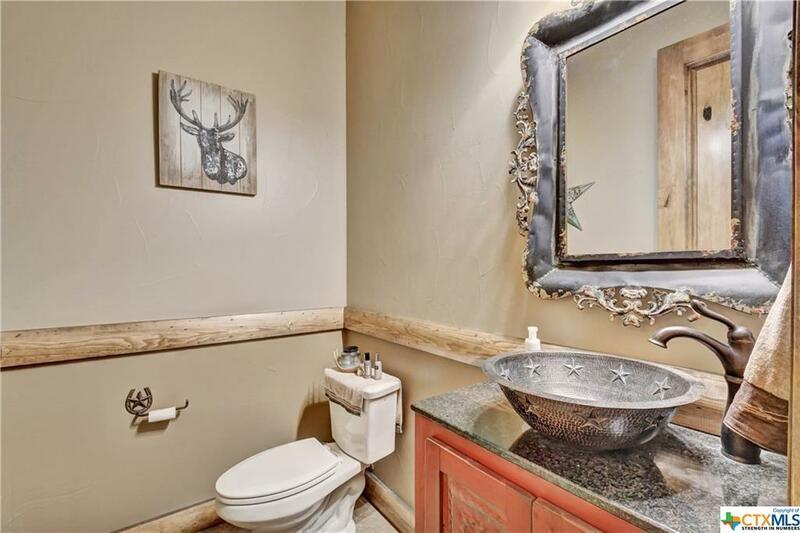 525 (tax records) with bathroom and makes for a perfect place for a weekend guest house. 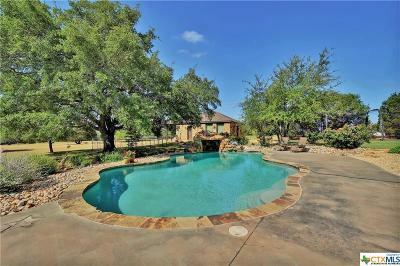 Directions: Enter Hidden Springs And Follow Hidden Springs Dr. To House On Right.